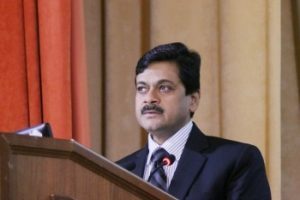 On December 7 2017, the Minister of the Embassy of India for Education Shri. Alok Raj and the First Secretary of the Ministry Shri. Suman Krishan Kaul visited StSMU. 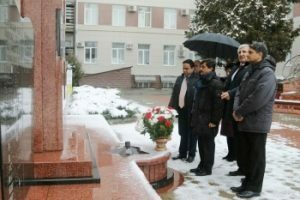 The visit began with a traditional meeting , after which the guests laid a basket of flowers to the monument to employees and students of the university, who died during the Great Patriotic War. Further, the guests met with the Rector Dr.V.I Koshel, the Pro-Rector for international and interregional activities. 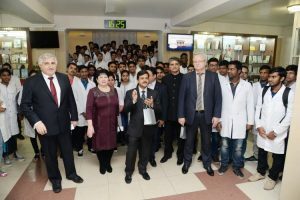 K. R Amlaev, the Pro-Rector for academic activities Dr.A B Khojayan, the Dean of the faculty of foreign students Dr.S. V. Znamenskaya. The rector of StSMU acquainted the guests with the work of the University on improving the Educational process for foreign students. 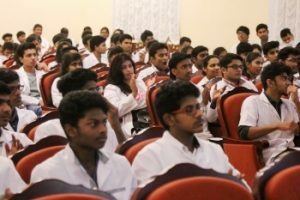 He also noted the growth in the number of Indian students in our university in the past two years and expressed a strategic vision of the university’s leadership in the development of international medical education. 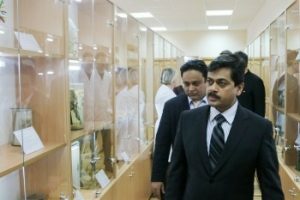 Mr. Alok Raj acquainted the audience with the existing problems and achievements in the field of teaching Indian students in Russia.Then the guests got acquainted with the training at the Department of Anatomy, The Center of Practical Skills, visited the museum, library & student dining room.During an interview with media representatives, Minister Shri. 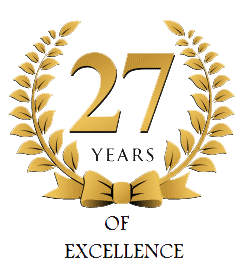 Alok Raj shared his impressions of the university, calling them impressive. 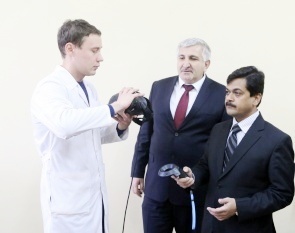 Further, in the assembly hall, a meeting with Indian students took place, at which the Rector and Minister exchanged plans for the development of Russian-Indian relations in Education, the guests watched a film about the Stavropol State Medical university in English. 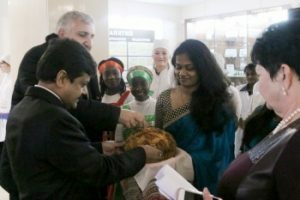 In a reciprocal speech, students from India highly appreciated the quality of education at StSMU and presented concert numbers to their guests in their performance. In the evening, representatives of the Embassy checked the living conditions of foreign students by visiting them in the hostel number 2. 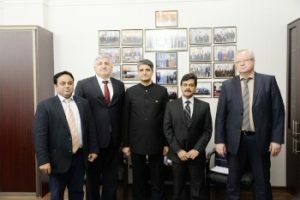 The embassy ministers also invited the leadership of the to visit the Embassy of India in February 2018. The invitation was accepted with gratitude.